wonder if you have even been to www.discounttiredirect.com , i have seen a bunch of selections of wheels there and they also have tpms mentioned there? Can anyone tell me if the wheels that they list will take tpms for sure like tirerack.com or they just list everything they have depending on the size? I am going to clean up the rims and change my plugs tomorrow. I will try to take some pictures to post here so that those interested are welcome to look. I inspected them fairly closely and I dont see any scuffs, scratches, or anything of that nature on any one of them. Other than alot of brakedust, they are basiclally flawless. I would not be selling them if there were something wrong with them as I would not sell junk to anyone. I hope to post some pictures in the next day or two. Bare with me as I have been so busy the last week and didnt have time to do much of anything. so if my wheels are tpms compatible, is i as simple as plugging my old tpms into hte new ones and go? is there any reprogramming thats needed? 18" X 7.5" Racing Hart CR's, anyone know if these take TPMS? I see CX's don't but have hopes for the CR's. ^^ in case anyone ever wonders, these wheels work fine with TPMS. They're installed on my car now. Anybody know if Stern ST-1 FACE III BEAST will take a TPMS???? Also, weight? Bought a 2005 RX_8 GT this past January and bought a set of snow tires. Used the stock rims with TPMS for the snow tires, thinking I'd get a separate set of rims for the summer tires I removed (Kumhos with a lot of tread left). It's time to switch, and ideally I'd like a set of light, Mazda TPMS compatible rims that have the same dimensions as stock (since I want to keep the summer tires I have), without being the same as the stock wheels I have in the winter. Any suggestions? Also, when I look at Tirerack, etc., they often mention TPMS, but is this the same TPMS that came with the stock rims? If not, do I need to have the sensor in the car reprogrammed every time I switch from summer to winter tires and back? BTW, I the 40th anniversary wheels I've seen at the local dealer are stunning (for aesthetics, I like seeing the rounded triangle/rotory theme suggested or repeated in the wheels), but I suspect they're too pricey for me. Anyone know if 18x7.5 R1 Racing Hype wheels take TPMS? 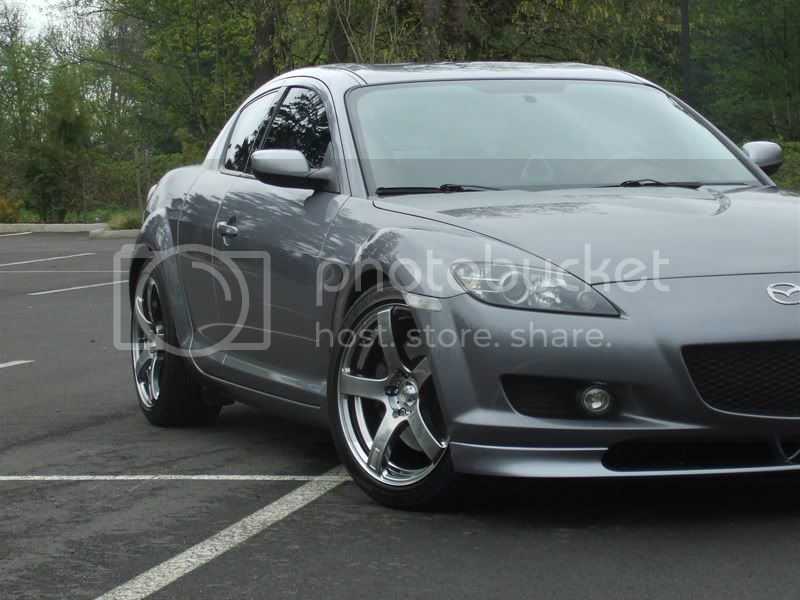 All wheels that TireRack shows for the RX8 are TPMS friendly. I do not know if you can reuse the stock sensors, but a new set @ TR runs about $220 if memory serves me. I believe they are OEM sensors. Just picked up JIC Magic's J-Force 05 and they work fine with TPMS. do xxr 006 take tpms? I do believe their updated XXR line (use to be Sportsmax) can take TPMS. I have the XXR 502s and the TPMS are in just fine. Here's XXRWheel's phone number 800-647-7462 to find out for sure. 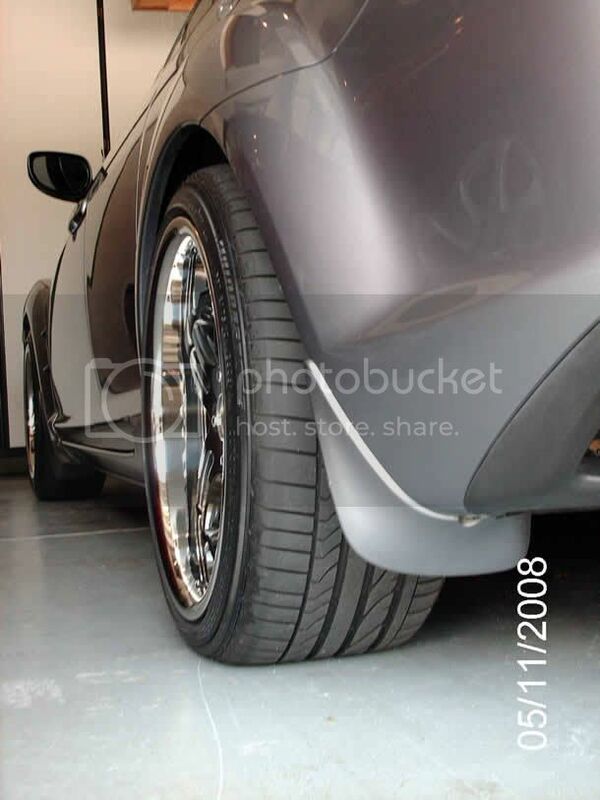 anyone know if tpms will fit in rota boosts 18x9? do 5zigen gn+ take TPMS? and also tenzo DC-6? a lil off topic, but my enkei wheels dont have TPMS in them, nor do i plan on putting it in them, but how do i get the TPMS light to not blink after 10 mins of driving? i dont like lights flashing at me. makes me feel like somethings wrong. i did search for the one thread i was going to ask this in, but couldnt find it. Buy 4 of them, put'em in a ziplock, toss them in the trunk or glove box. The main thing is that you have 4 sensors, and they are all showing relatively same pressures. If you mount two, but leave other two in trunk, it won't work. either all 4 mounted in rim, or all 4 in trunk. Will take 10 minutes of driving before they resync with the TPM system though. Are those 17" or 18" Enkei RFP-1's? My 19" Axis Hiro's are off the car and up forsale and getting ready to buy some 17" RFP-1's and was on here to find out if they took TPMS (so i can transfer them to the new wheels). Do you know if yours will actually fit them if you did have them? Last edited by RXtreme8; 12-08-2008 at 06:12 PM. Anyone know if the Tenzo Cuzco version 1 will work? if you don't care about it, you can black out the light with a little piece of electrical tape....you'll never know it was there. Yes, you need to have the ECU reprogrammed for the other set of TPMS on your new wheels and then reprogrammed when you put your stocks back on. The only way to get around that (that I know of) is if you are going to reuse your stock TPMS, which means you have to have your tires remounted wheels each time you switch. Does anyone know if the Ings+1 TS06 wheels take the TPMS sensors?